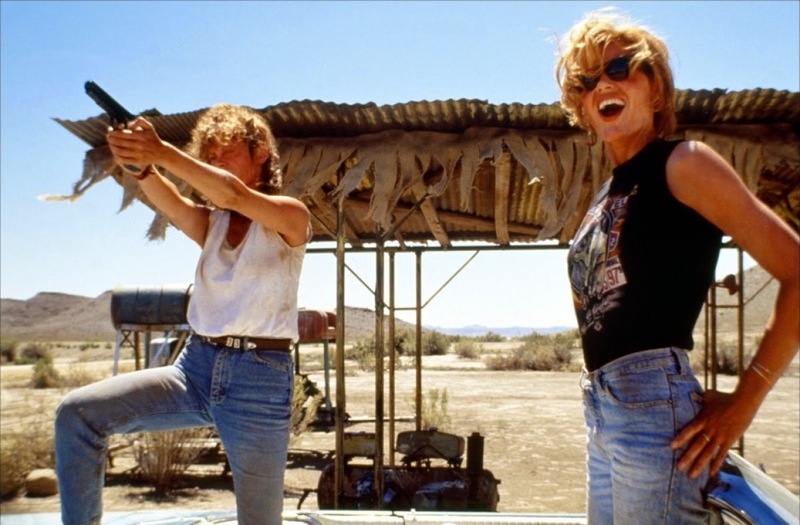 the looks in Thelma and Louise are so quintessentially summer, so essentially tomboy. there are films with sumptuously designed costumes, and then there are films with clothes that make you go, i'd wear that right now. 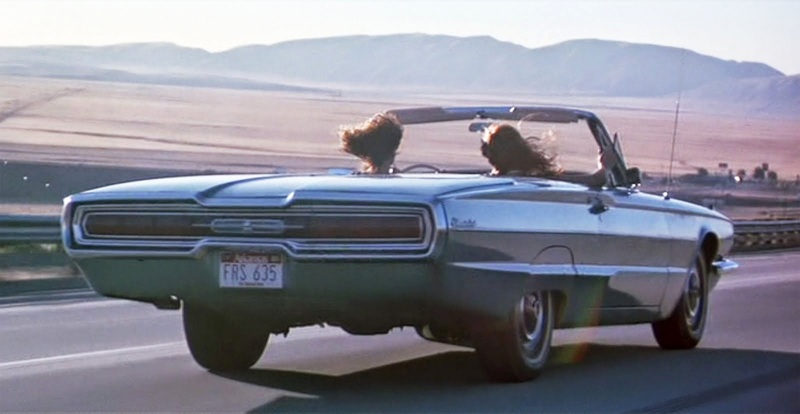 Thelma and Louise is definitely the latter. 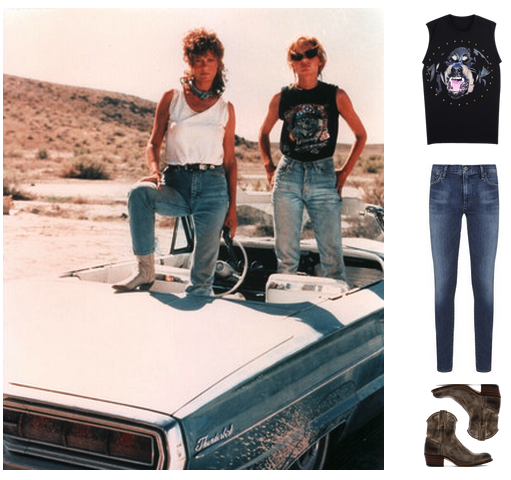 attitude for miles: muscle tees, high-waisted jeans, cowboy boots, raybans. 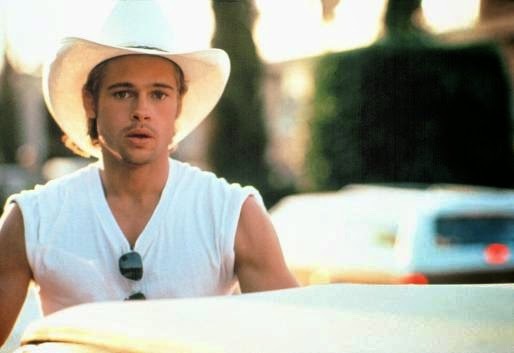 ...young Brad Pitt doesn't hurt either. interesting fact: according to the LA Times, Levi's refused to do product placement for the film...so the jeans featured on all the actors had to be sourced from every other brand. what do you think? what films inspire your style? LOVE this movie and their style! Total summer inspiration. Never seen T&L believe it or not! Going from the stills, those jeans make me cringe, but I know that style isn't just in clothes alone, but attitude and demeanor. Growing up it was the original Star Wars and Addams Family, because I could relate more to it. As much as I love the Hitchcock Blonde I know that I could never be that. haha, T&L is a classic in my book! agree with you on the Hitchcock Blonde. That's not my style at all but man I saw that movie when it came out and it rocked my teenage world! Seeing Geena Davies' character style path and sexual empowerement made a lasting impression that decades later still give me goose bumps! I think TV series influenced me more than movies, at least that's what come easier to my mind. love this movie so much - i was going through a ridley scott phase and i think i spent every weekend watching something of his. there's a great vanity fair story you should read, if you haven't, about the making of the movie - the screenwriter is a woman!